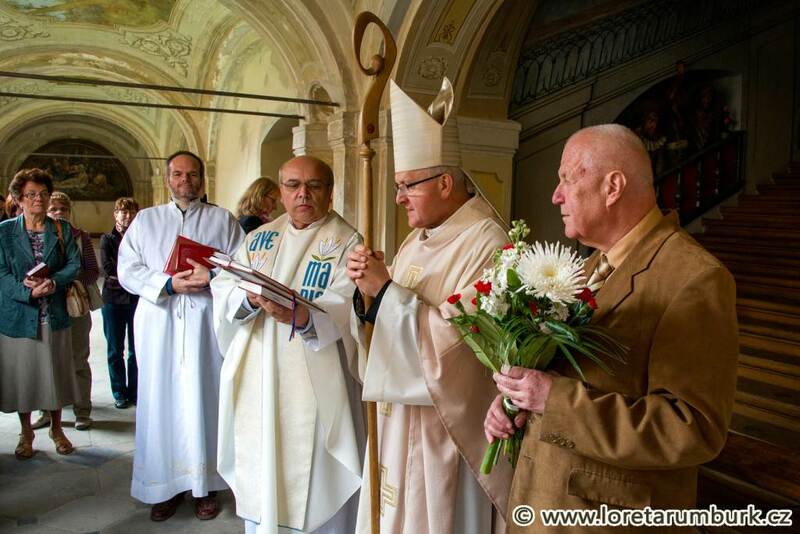 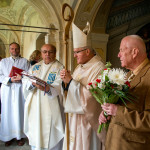 The building of the chapel was built due to contributions from the superior of the Capuchin monastery – father Bernardin with funds from the Rumburk dominion owner Josef Václav, prince of Liechtenstein in the years 1767-1770. 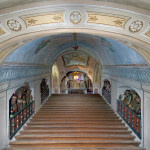 The pilgrimage place symbolises the staircase in the palace of Pontius Pilatus, the Roman governor in Jerusalem, on which Jesus Christ climbed up for his death sentence. 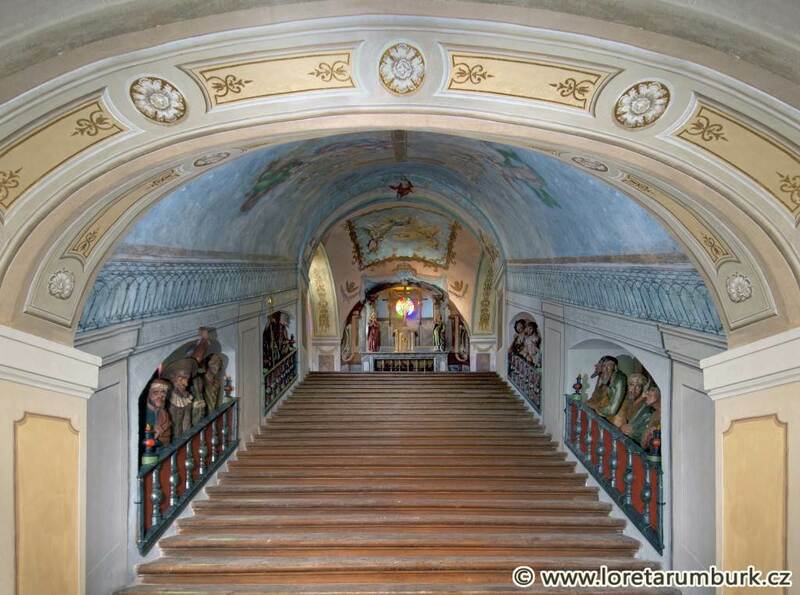 There are 28 steps of the Holy Stairs and to the altar in the chapel of Calvary you can only reach on your knees. 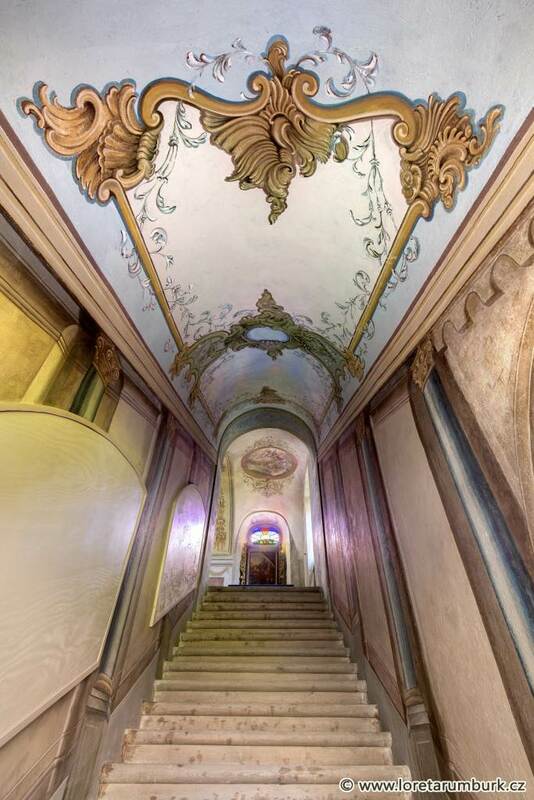 There are two side staircases for the ascent and descent. 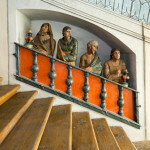 There are two wooden statues of Roman soldiers placed on the railing of the central staircase who mock the jewish merchendisers. 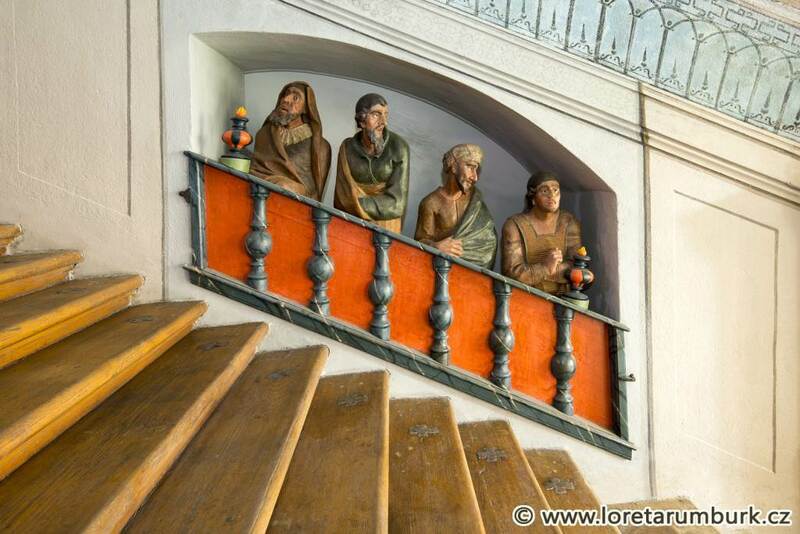 The unique sculptural work was created by the painter and woodcarver Elias Dollhopf (1703-1773) from Horní Slavkov. 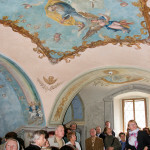 Vivid is the painting decoration with flowery theme, with the scene of the Cross Triumph, the Second Arrival of Jesus Christ and scenes from the Old Testament. 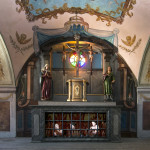 The Calvary (Crucifixion) chapel over the Holy Stairs is the climax, station XII of the Way of the Cross, located in the cloister. 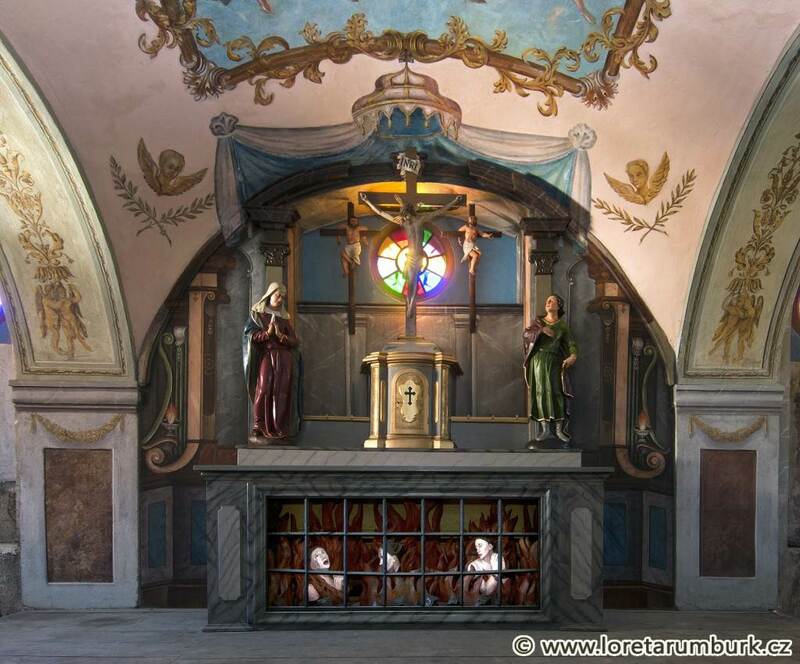 In the niche of the altar table are located two wooden statues of souls in purgatory. 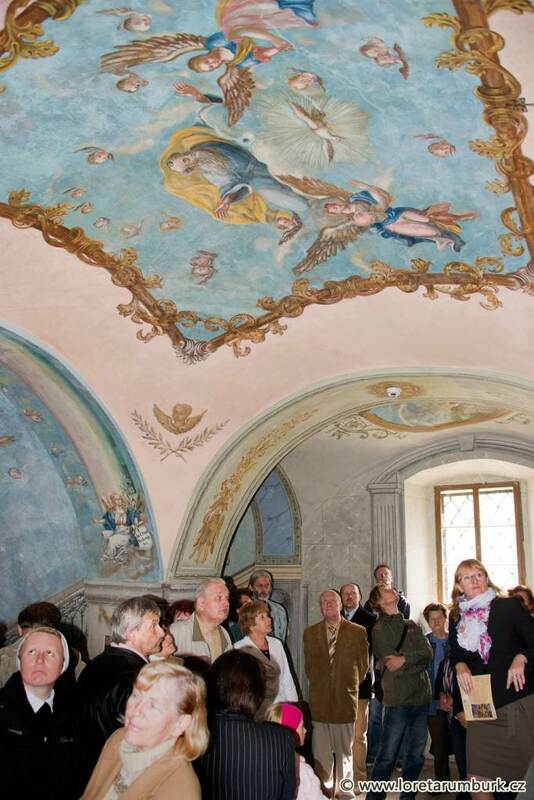 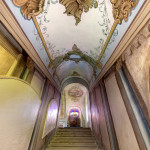 The chapel of Holy Stairs was restored in the years 2007-2012.